When it comes to DNA testing I’m sure you’ve all heard of AncestryDNA, Family Tree DNA, 23andMe, and even the relatively new MyHeritage DNA – but have you heard of Living DNA? No? Well let me introduce you to them. Living DNA is a company that has worked with a team of genetic experts who together have developed the most detailed breakdown of geographic origins available. Their test doesn’t just give you a percentage of your English, Irish, Scottish, European or elsewhere ethnicity … they have the ability to break down your ancestry to 80 regions worldwide (three times the detail of other tests), making it useful for everyone no matter which countries your ancestors are from. Even breaking down British ancestry to 21 regions. 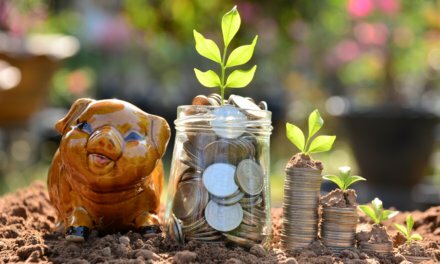 But that is only the beginning, as new discoveries are made we update your results offering you ongoing insights over time. 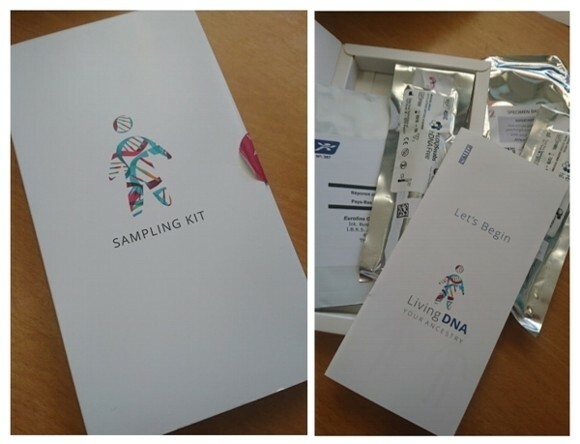 The company, which is based in England, send you a box kit which includes a simple cheek swab method along with an instruction booklet and a pre-paid satchel to return your DNA swab to the Living DNA lab in The Netherlands. Once sent back the impatient wait for the test results, which typically takes 8-12 weeks, begins. But once in, you’ll be able to view your results online. The cost of a test is AUD $199 (£120) which is freight free, and includes a “lifetime membership to Living DNA”, which includes free updates to the test results as new testing technology evolves. 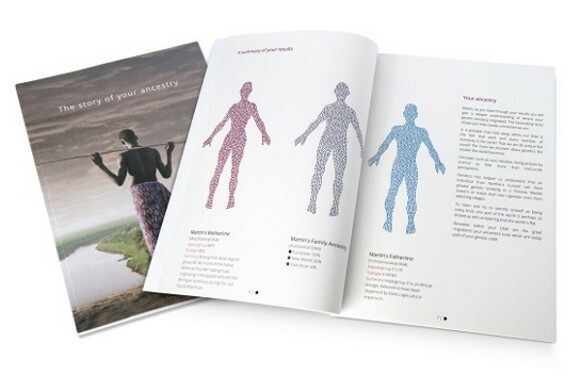 An extra that you can purchase is a the “Personalised Ancestry Book”. This is a coffee-table style book with your own personal DNA report. The cost for this is AUD $79.00 (£35). For more videos from Living DNA check out their channel at Vimeo. And be sure to visit their website for more information. Gostaria de adquirir um teste de DNA para mim, meu marido e meus dois filhos. Moro no Brasil. Como faço? Hi Giuliane, If you’d like a kit, simply go to their website (https://goo.gl/5EhZQ4), and you can buy it online.